The Belize Tourist Board (BTB) and the government of Belize will work with tourism industry stakeholders to solve the problem of cleaning up sargassum off the beaches; as Cabinet has already been briefed on the situation. 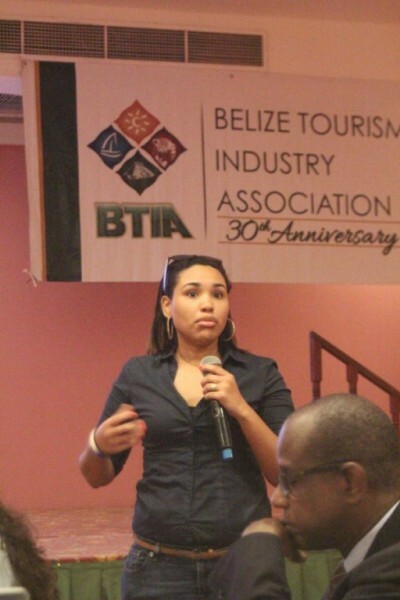 This was the good news BTB director Herbert Haylock communicated to members of the Belize Tourism Industry Association (BTIA) when the stakeholders met to seek practical solutions to the sargassum problem at a forum hosted by the BTIA at the Ramada Princess Hotel and Casino in Belize City last Thursday, December 3rd. 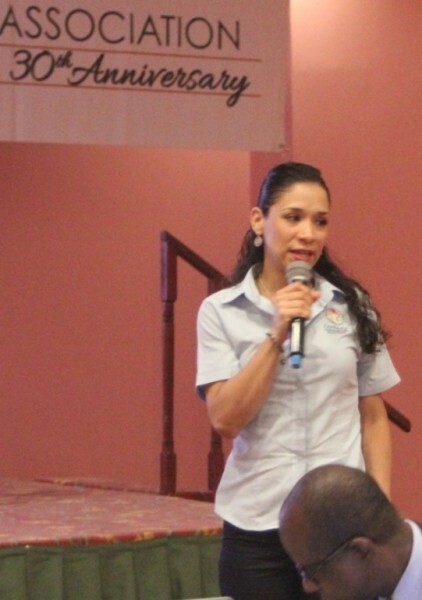 Haylock told the constituency that a joint task force from the Ministries of Tourism and Aviation, Forestry and Fisheries, and Natural Resources were presently considering a policy for the best way forward. He added that he could not offer a precise timetable for when government would produce its national policy on the issue, but he optimistically opined that it could be within a month, as Cabinet had been briefed on the issue from before the elections. The president of the BTIA Placencia chapter, Stuart Krohn, made haste to assure Haylock that the BTIA was not looking for a hand-out; as each tourism property has been addressing the problem which occurred in August, each in their own way. But he requested that the BTIA would like the government to issue a national policy on how to deal with the problem that would apply across the board nationwide, on how the problem would be addressed. For while tourism property owners were busy cleaning their stretch of beach, no one was clearing away the sargassum from neighboring public land and beaches along properties where the owners were absent; so this remained a problem for those involved in trying to keep their beaches clean. 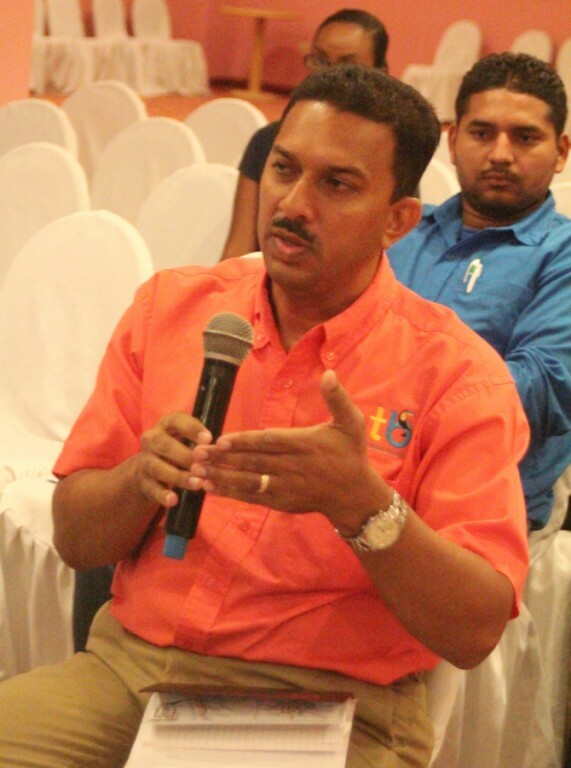 One suggestion put forward was that the sargassum phenomenon, when it occurs, should be treated as a national emergency to be addressed and dealt with by the National Emergency Management Organization (NEMO), which has the equipment and other resources to deal with the problem. No one is too clear on the scientific cause of the problem, but industry stakeholders anticipate that it is a problem that may recur; as there is a large mass of sargassum floating in the ocean off the coast of West Africa. Once the climatic conditions are right and the ocean currents are working in tandem, this sargassum will break away and float into the Caribbean; and once the sargassum reaches the Windward Islands in April, the BTIA stakeholders know it will be only a matter of months before the sargassum reaches our shores again. The sargassum problem is not unique to Belize; and Chief Executive Officer Hugh Riley from the Caribbean Tourism Organization shared the experience of how the tourism industry has been addressing the issue in other Caribbean territories. Mexican biologist Nallely Hernandez Palacios, Deputy Director of the technical unit for Conservation and Management of Protected Natural Reserves of Yucatan and the Mexican Caribbean, shone a ray of sunshine on the gloom of the problem, by introducing a machine, the Sarganeitor, which Mexican authorities have been using with considerable success to clean up their sargassum problem. She explained that the machine was originally designed to clean up vegetation in inland waterways, but had proved quite effective when adapted to address the sargassum phenomena. Essentially, the Sarganeitor is like a floating combine which goes harvesting the sargassum from the sea at a rate of 7.5 tons per day, and depositing it aboard a boat. It’s a very practical solution for cleaning up the sargasum from the seas, before it hits the beaches; but at 2 Million pesos (about $300,000) it does not come cheap. In the Belize context, it is debatable whether the BTB or the BTIA should invest in such equipment, for a problem which may or may not occur. Hernandez-Palacios said the National Commission of Natural Protected Areas had spent some $159,000 in cleaning up about 10,000 tons of sargassum along a 5.4 kilometer stretch of coastline in the Isla Mujeres Punta Cancun national park area. Elsewhere, other Mexican stakeholders had cleaned up 149,000 tons of sargassum at a cost of US$225,000 along 74.8 km of coastline. Of course, once the sargassum is harvested; the next question was what to do with it. One solution was to bury it under the dunes above the high-water mark, but Mexican authorities found that using heavy equipment to push the beached sargassum up the beach to the disposal area had a negative ecological impact in that heavy earth-moving equipment also crushed the eggs in sea-turtle nests buried beneath the sand. So they recommended using lighter vehicles, with flotation tires to minimize the ecological impact; one such vehicle was a sort of beach rake with tines to comb the sargassum off the beach without removing too much sand. Another was for the turtle nesting areas to be cleaned by hand, although this had a higher man-power cost. Other uses aside from landfill was to use it as fertilizer because of its potassium and phosphates content, or alternatively as a compost on pig farms. Oceana Belize representative Roxanne Perez-Gentle shared the Belize experience, and the most clean-up campaigns in the affected areas had been a community led response, done mostly by hand, using volunteer labor for the most part; and the sargassum collected had been buried in ditches dug behind the beach area. She noted that it was a problem which demanded a solution; as the sargassum had worked as a floating broom, sweeping in all other flotsam and plastic debris of the ocean and depositing it all on the beach in a most unsightly manner. She said they found the sargassum had also trapped a number of marine organisms, such as small fish, turtles and crabs, which all contributed to a most unpleasant smell when the sargassum began to decay. 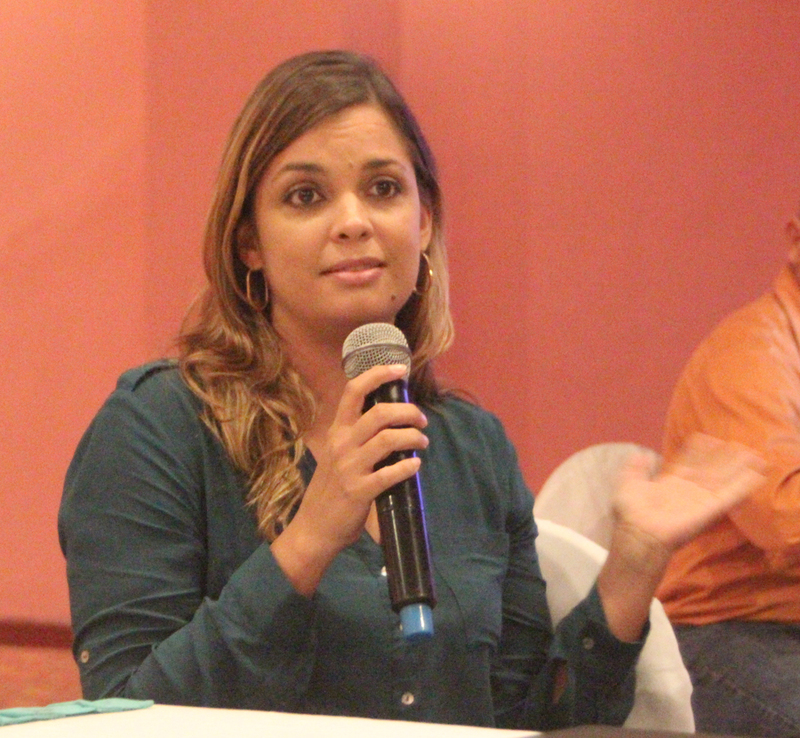 Amber Edwards of San Pedro’s “Build-a-Beach” campaign shared the Isla Bonita experience, in which tourism property owners had recruited mostly volunteers to clean up the beaches by hand. The volunteers also devised a unique method of using a sort of seine net to harvest the floating sargassum out of the water. Other stakeholders from Placencia, Seine Bight and Hopkins also described how each had dealt with the problem; some properties solved the problem by mounting booms, nets and breakwaters offshore to keep the sargassum off their beaches; but where these deflection barriers were installed, they only magnified the problem for other neighboring properties. One such barrier, called the “Beach Bouncer”, is commercially marketed for this purpose, and at $6,000 for a 100-foot section; some might find it an affordable solution. Not everyone welcomed this answer, as the sargassum when deflected simply floats down-wind; as the currents carry it further along the coast to become somebody else’s problem. To protect a beach effectively, the barrier needs to extend along the entire length of beach, but it has to be staggered in sections which overlap at gaps which allow fishing boats and other crafts to access the open sea.